Pakol Festival 2019 Street Dancing and Showdown of Santa Catalina was held on April 24, 2019. 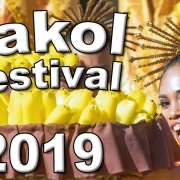 Watch the Pakol Festival 2019 Video here! Miss Bindoy 2019 was held last April 04, 2019. Eight lovely candidates joined in the search for a new queen of Bindoy. Read more & Watch Video here! 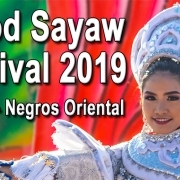 The municipality f Bindoy celebrated their fiesta with the festivities of Libod Sayaw Festival 2019 on April 04, 2019. Wathc Video here! The municipality of Basay is located 125 km from Dumaguete City. 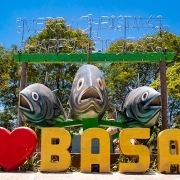 Learn more about Basay, it’s people, beaches and food! Watch Video here. The Miss Basay 2019 was nothing else but a huge success! Ten lovely ladies of Basay battled for the crown and title. Watch video here! There are many Tourist Spots in Siaton, however, here are the top three that stands out. 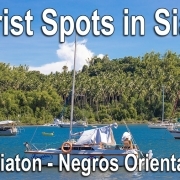 Watch Video here and learn more about Siaton, Negros Oriental. There about four hundred of caves in Mabinay and only a few of them have been explored. 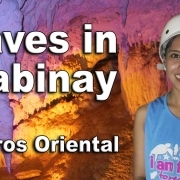 Click here to know more about the Caves in Mabinay. Watch Video now! 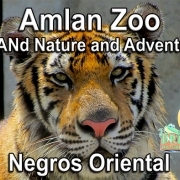 Amlan Zoo is known to be home to many wild animals in Negros Oriental. It is officially called the DreAMLANd Nature and Adventure Park. Watch Video here! Offered activities at the Twin Lakes in Sibulan, Negros Oriental are boating, kayaking, trekking, and camping. Read more & watch Video here! 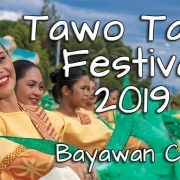 It is essential to celebrate the Tawo Tawo Festival 2019 as part of the fiesta celebrations in Bayawan City. Watch the Tawo Tawo Festival 2019 Video here!